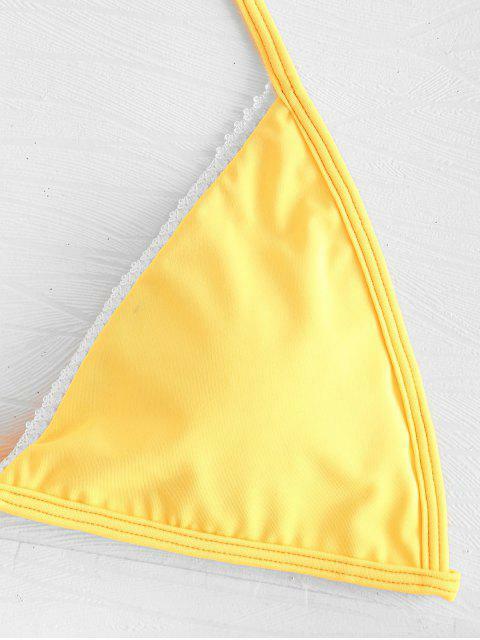 [39% OFF] 2019 Lace Trim Side Tie Bikini In RUBBER DUCKY YELLOW | ZAFUL ..
Get ready to soak up in the sun in our bathing suit that's designed in a solid color for a chic look! Lace Trims accent the plunge front of this bikini bra featured with a halter collar and a knot tied at back for a perfect fit. Pads can be removed for an effortless bralette style. The matching briefs have self-tie sides to adjust for the great fit to flatter the curves.